There is a tax benefit to leaving some assets to your favorite charity rather than leaving it to your heirs. Generally speaking, assets such as Roth accounts are best left to family members because there is no tax burden and they will experience tax free growth as they take small required minimum distributions. If you were to leave a traditional IRA to a family member the withdrawals would be taxable to them. But leaving a traditional IRA to a qualified charity means that the charity will recieve the money from your retirement account tax-free. 1. Confirm that the charity is able and willing to accept your gift. Some charities might accept your car and some might not. 2. Confirm that the charity is a qualified 501(c)(3). Get their tax id number. 3. Ask how the charity should be listed. The official name of the charity is often different from the name you know them by. 4. Get the mailing address, phone number and email address. Fill out the Beneficiary designation form from the custodian who holds the asset. 5. List all of the information (official name, address, phone number, email address and tax id number) on the beneficiary designation form. e.g. University Christian Ministries, Inc., 128 Chancellor Street, Charlottesville, VA 22903. (434) 817-1050. Tax ID: 51-0192618. 6. 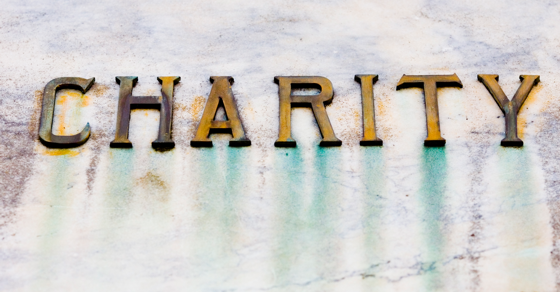 List if the charity is a primary or secondary beneficiary. 8. Send the original signed form to the company which is the custodian of the asset. Photo by Thomas Hawk used here under Flickr Creative Commons.